The black Mega Shoot Cover MSC-3 from OP/TECH protects your camera and lens from dust, dirt and various elements. Made from a tough 4mm closed-cell neoprene that holds back moisture, it's for use in all kinds of weather and does not require removal when you wish to shoot since it is not simply a travel case. The neoprene is easy on your hands - especially when the temperature is low. The major advantage of the Mega Shoot is that it can be used while your camera and lens combo are mounted on a tripod. Along with its included OP/TECH Hood Hat for your lens, the Mega Shoot delivers complete protection while still maintaining full access to your gear through its drawstring and snap closure. It should be noted that the Mega Shoot does not contain any touch fasteners that can cause disturbing noise in certain shooting venues such as photographing wildlife or sports events. Another advantage of the snaps is that they will not attract the same kind of lint that touch fasteners have a tendency to do. 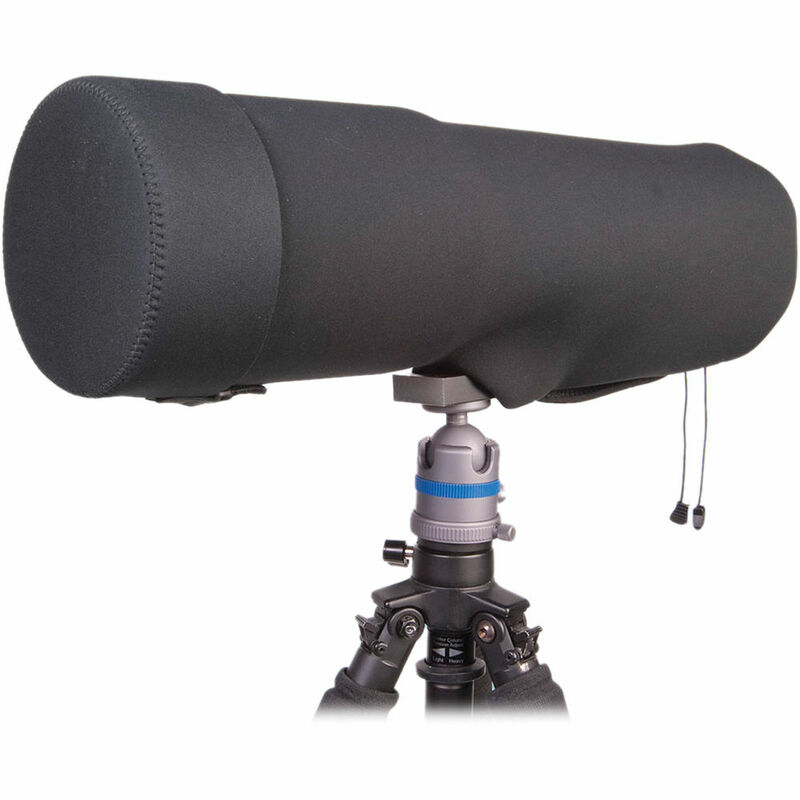 The detachable Hoot Hat can be snapped in three different positions to accommodate a wide variety of lenses. The drawstring body cover features a convenient back flap that guards your camera's screen and controls and can be easily lifted when required. Even the bottom of the Mega Shoot has numerous snap closure positions to accommodate a wide variety of tripod mounts. With its lifetime warranty, the Mega Shoot is a "must have" accessory for anyone who shoots outdoors and needs both complete protection and accessibility for their gear. Box Dimensions (LxWxH) 13.4 x 5.4 x 3.6"